Acupuncture treatments can be used in all phases of life – also during pregnancy and menopause. 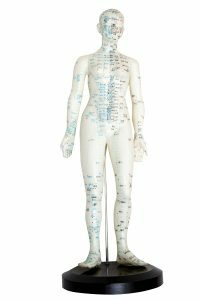 Contact us today and book yourself a gentle acupuncutre treamtent. Possible side-effects from acupuncture treatment may be a bruise, a drop of blood when withdrawing the needle or a slight red ring around the place of puncture. Very rarely and when unprofessionally treated: lung puncture, infection at puncture site if aseptic practise has not been applied or a needle breaks. Most of my clients come to me to get both acupuncture treatment and to connect with a midwife. During pregnancy acupuncture is a safe, economic and effective way of treating both the mother and the little one in the womb. I treat most pregnancy related ailments from heart-burn to common cold. At birth acupressure – instead of acupuncture – is an easy and fast way to help. At my midwifery-acupuncture appointment I can teach your birth partner the way to use acupressure at birth. Many birthing women find acupressure a great help – pain is relieved, labour starts and birth progresses. After birth acupuncture and acupressure eases discomfort, adds to your energy and raises the milk supply. You can use acupressure gently on your baby too, although mostly babies are treated through their mother. During the menopause acupuncture can help treat many symptoms and ailments. Acupuncture can also be used to treat issues relating to infertility and menstruation. It can be used as a primary mode of care or to support and enhance other treatments. The baby’s position in the womb before birth begins is not so significant. When you want to attempt to turn a baby using acupuncture I suggest starting at pregnancy week 34 or after. The baby moving in the womb is an attempt to turn and you should facilitate the turn as much as possible. Find a suitable position in which you can relax, so that the baby can turn – this can be a shoulder stand or lying on the bed. Don’t do deep squats if you have a breeched baby, because that will attach the presenting part (the buttocks) into the pelvis. Instead choose positions in which you are upside-down to encourage the baby’s buttocks to lift out of your pelvis. When the baby turns/is turned head down it’s time to take a long walk and do deep squats, in order to get the head lodged into your pelvis and prevent the baby from turning back to breech. Heat the acupoints (BL 67) on the outer edges of the little toes with moxibustion sticks 1-2 times a day, 15 min per point. Continue this for five days or until the baby has turned.